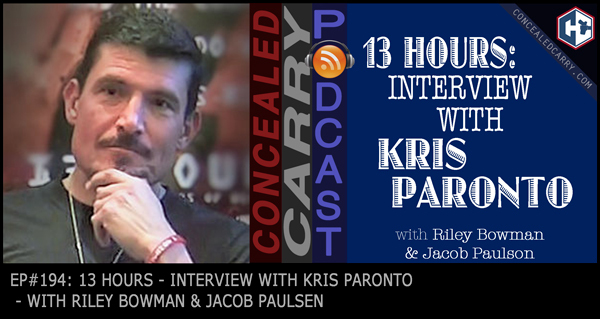 In this special episode, Riley was able to sit down with Kris “Tanto” Paronto for an interview while at the Safariland booth at SHOT Show 2018. They talk about the Benghazi incident, the writing of the book and making of the movie. Kris has recently launched a new training company Battleline Tactical, and we get into what Battleline Tactical is all about, training philosophies and what's coming up for the war veteran. Click PLAY above to listen to this fascinating interview! Also check out www.kristantoparonto.com for more info on Kris Tanto Paronto and upcoming training. Worthwhile interview. Sounds like a well grounded guy and a great American. Good guy to have a couple of pints with at the lodge and talk about the day’s issues. Agreed! Glad you enjoyed the interview!